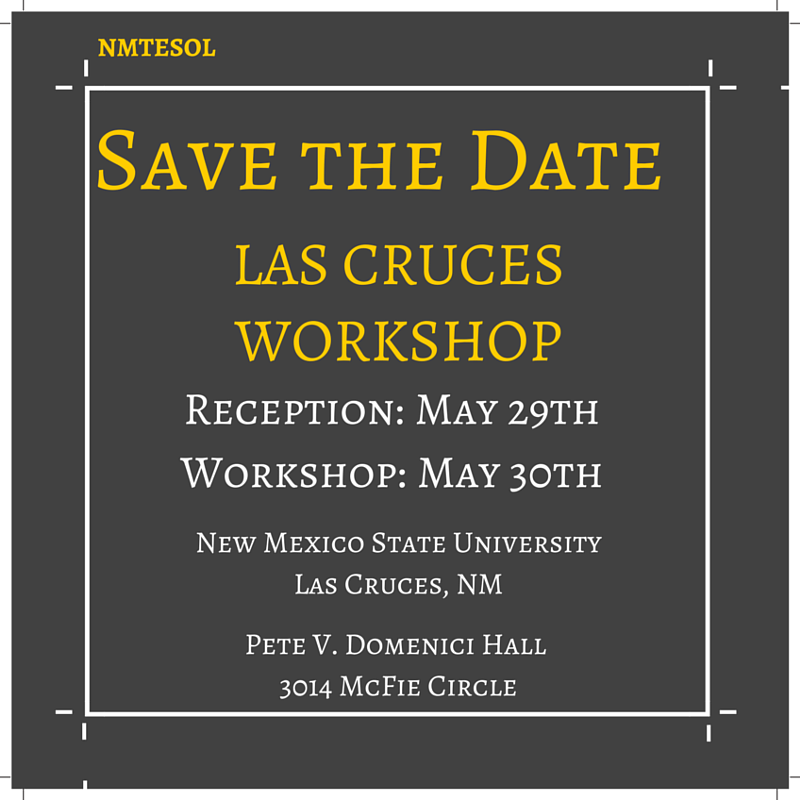 Call for Presenters – Las Cruces Workshop! 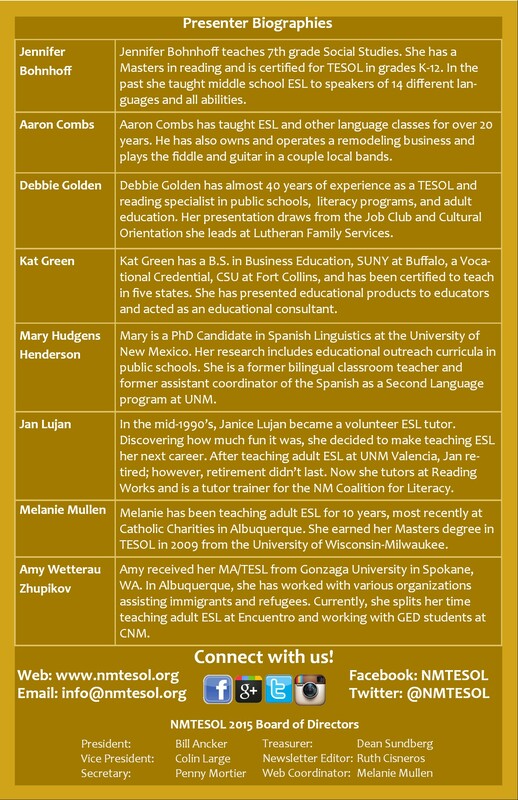 Save the Date + Call for Presenters! Please complete the form at this link https://www.surveymonkey.com/r/LasCrucesPresenters to submit your proposal. 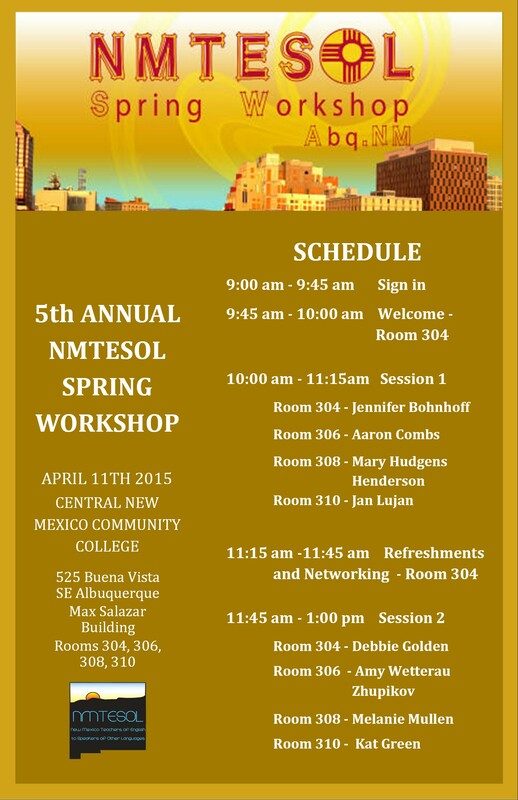 Don’t forget our 5th Annual Spring Workshop is tomorrow! 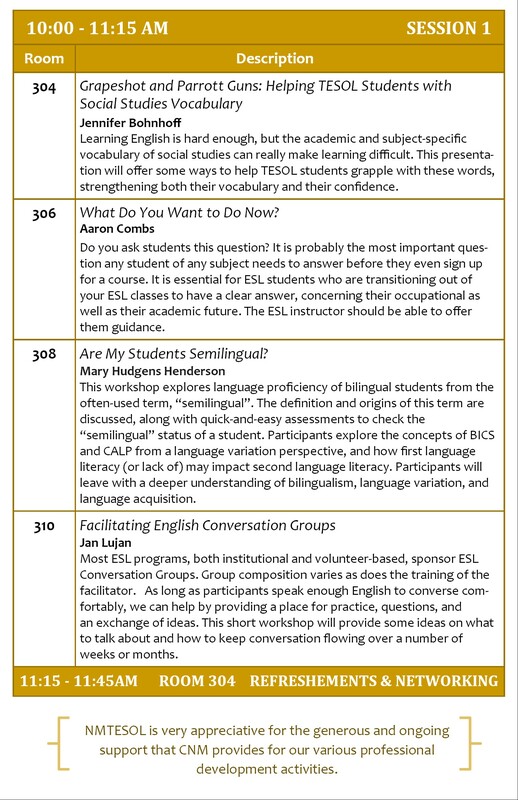 See you at CNM’s main campus in Albuquerque on the 3rd floor of the Max Salazar Building (on the corner of University and Basehart) from 9am to 1pm! 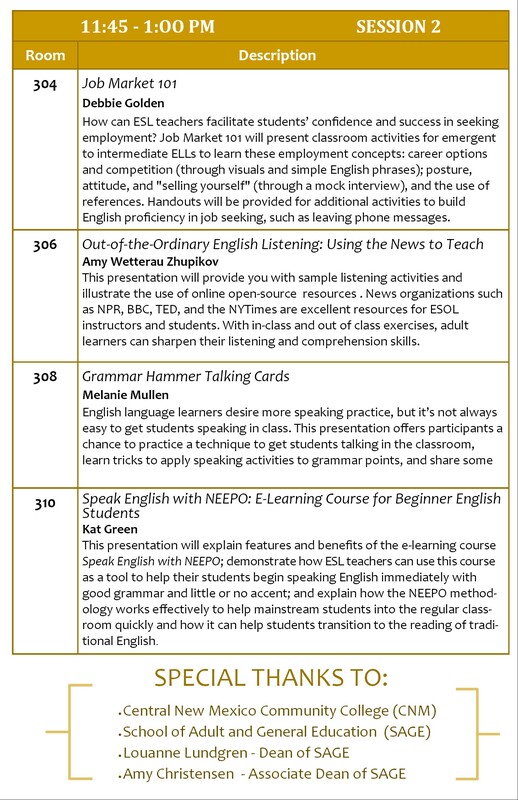 Enjoy this 1/2 day of excellent professional development.